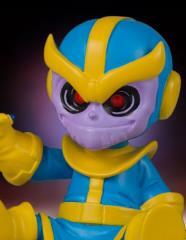 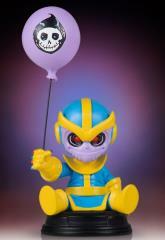 Gentle Giant LTD continues the animated Marvel line with the love-starved "Mad Titan" himself, Thanos! 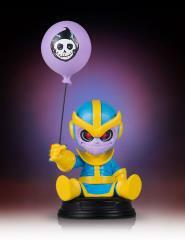 This animated design of Death's suitor is inspired by artwork found in the pages and covers of Marvel Comics. 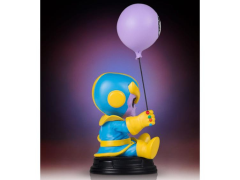 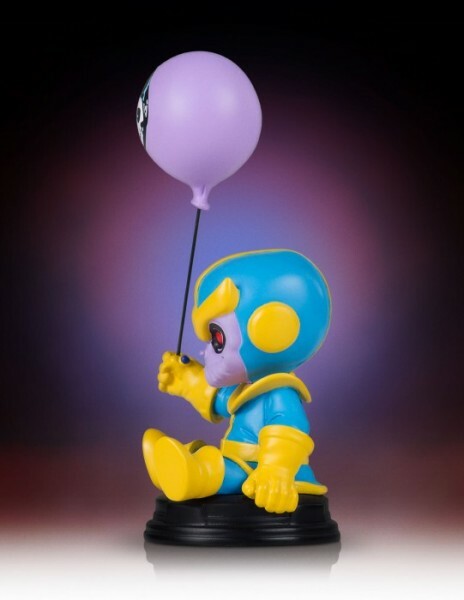 With balloon in hand, this Thanos collectible was digitally sculpted, and then printed out on state of the art 3D Systems printers. 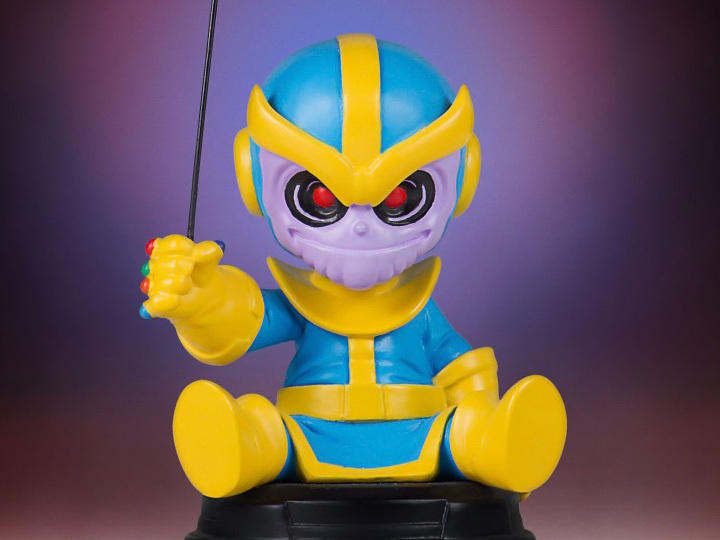 The 3D prints were then used to create the prototypes needed to produce this fun-filled statue of Thanos!